Sunderland is currently competing in a most exciting competition to become the UK’s next City of Culture in 2021. A win for the city would bring a huge boost in resources, services and opportunities for us all. 1. Get Creative for 2021 weekend on April 8th and 9th! 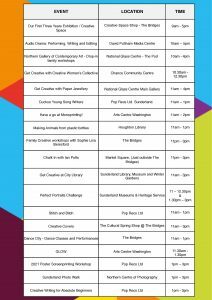 To coincide with BBC’s Get Creative weekend, Sunderland hosted a Get Creative weekend on April 8th and 9th. Everyone was invited to come along and show their support. 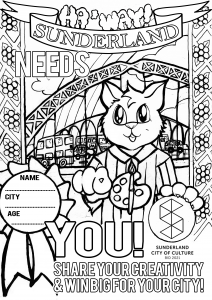 By contributing our creativity and joining in one or more of the many FREE creative challenges across the city, Sunderland’s creative spirit was spread far and wide! 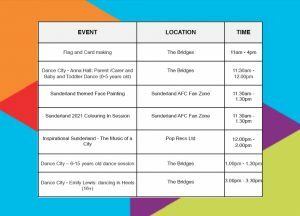 These Sunday workshops were part of Sunderland Social, supported by Sunderland BID. Everyone that took part was encouraged to make something, sing something, build something & share it via Instagram, Facebook or Twitter with the hashtag #Sunderland2021. Your creativity really matters to Sunderland’s future – whether you like to knit, garden, sing in the shower, wire up houses extra neatly, lay bricks – your creativity and skill can change the course of Sunderland’s future. 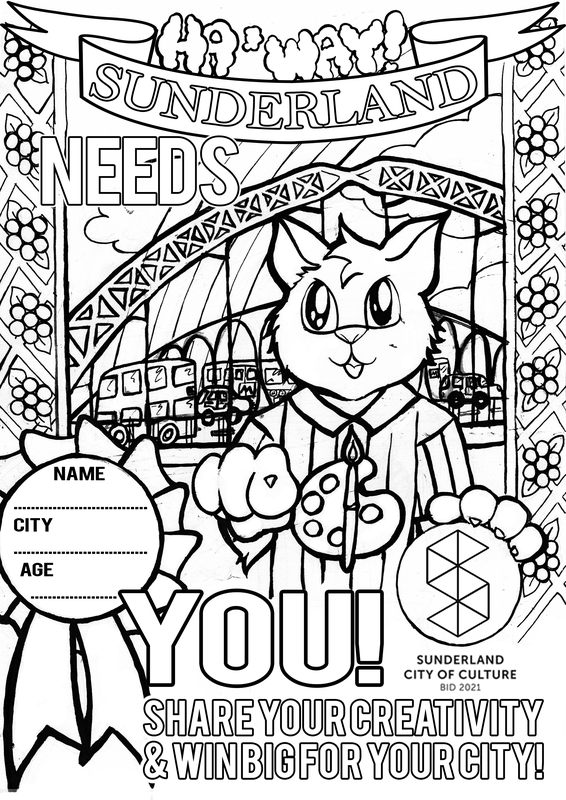 If you need inspiration, why not download your Sunderland 2021 colouring-in poster here!